Borislav Stefanov is currently a freelance Management Consultant. 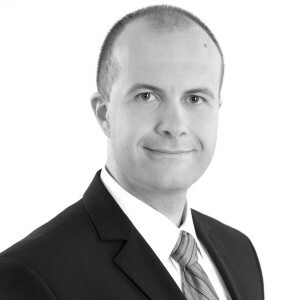 As a consultant, Borislav specializes in business strategy, market sizing, and operational efficiency. Previously, Borislav was an Investment Director at GlobeCap Investment, part of a Saudi Arabian private equity fund, managing assets worth over $300m in textile, food manufacturing, retail and real estate industries. He is also the former Executive Director of InvestBulgaria, the government agency responsible for attracting foreign direct investment to the country. Prior to his return to Bulgaria, Borislav has worked for the Boston Consulting Group in Moscow, where he covered projects in the automotive, consumer goods, telecommunications and the financial sector for several countries in Europe and Asia. Borislav has also worked for Daimler’s Regional Logistic Center in Dubai, covering automotive logistics for the Middle Eastern distributors of Mercedes-Benz, Chrysler, Jeep, and Dodge. Borislav holds an MBA degree from Harvard Business School, a Master’s Degree in International Management from Regents University in London, and a Bachelor of Arts degree from the American University in Bulgaria. In his free time, he enjoys running and reading.